So here’s my response: Bill Gates can afford all the health care that he wants, but it won’t save him from the expense of having a funeral. August 10, 2018. 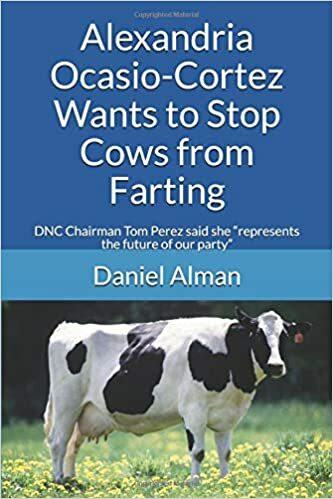 Tags: Alexandria Ocasio-Cortez, funeral expenses, funerals, Health care, Politics, Why aren’t we incorporating the cost of all the funeral expenses of those who died because they can’t afford access to health care?. Alexandria Ocasio-Cortez, Health care. Leave a comment. July 26, 2017. Tags: Anti-smoking, e-cigarettes, Health care, Smoking. Health care, Smoking. 1 comment. Scientists have revealed a robotic drill that can cut the most sensitive brain surgery down from two hours to two and a half minutes. Researchers say can make one type of complex cranial surgery 50 times faster than standard procedures. They say the drill produces fast, clean, and safe cuts, reducing the time the wound is open and the patient anaesthetized, which also decreases the chances of human error, as well as the cost of surgery. In complex surgeries, especially cranial surgeries, surgeons typically use hand drills to make intricate openings, adding hours to a procedure. Under the new system, patients will undergo CT scans to establish the exact location of sensitive structures such as nerves, major veins and arteries that must be avoided. Surgeons use this information to program the cutting path of the drill and the surgeon can program safety barriers along the cutting path within 1 mm of sensitive structures. Dr A.K. Balaji, who also worked on the drill, said: “The software lets the surgeon choose the optimum path from point A to point B, like Google Maps. The drill does the heavy lifting by removing most of the bone, similar to a mill, accurately and rapidly. It has so far not been tested on a human patient. May 1, 2017. Tags: brain surgery, Health care, Robots, Science, Technology. Health care, Science, Technology. Leave a comment. Consumer Reports’ ratings use a scale one to five. The condoms called “Planned Parenthood Honeydew” received the worst possible score in both of these categories. The text of the article can be read here. The ratings for the different brands of condoms can be seen here. February 19, 2017. Tags: abortion, AIDS, birth control, Chlamydia, condoms, Consumer Reports, Genital Human Papillomavirus, Gonorrhea, Health care, herpes, HIV, hpv, Planned Parenthood, Politics, sexually transmitted disease, STDs, Syphilis, Trichomoniasis, venereal disease. Abortion, Health care. 1 comment. Can you imagine what would happen to the price of gasoline, if you couldn’t see the price until after you put it into your car? The price would skyrocket like crazy. Same thing with groceries, clothing, and well, pretty much anything. Right now, health care is the only industry where most customers don’t get to see the prices until after the service has already been provided. This is why prices are so absurdly high. The health care clinic in this article and video is completely different. They list all of their prices online, so customers can see how much everything costs before they actually get the service. As a result, the prices charged by this clinic are way, way, way less than what everyone else charges. This is a wonderful policy. In my opinion, the government should require all health care providers to post all of their prices online. January 31, 2017. Tags: Economics, Health care. Economics, Health care. Leave a comment. The world needs more black women studying STEM subjects like Jasmine Burton! 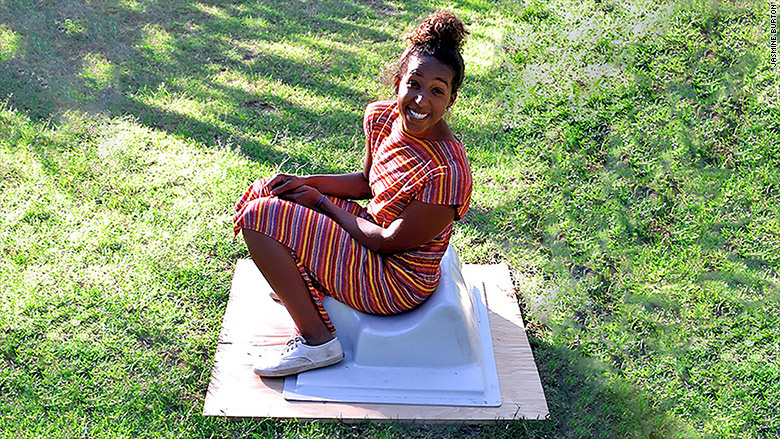 “It’s shocking that this basic necessity is unavailable to nearly half of the world,” said Jasmine Burton, founder and president of Atlanta-based Wish for WASH.
Burton, 23, was a freshman at Georgia Institute of Technology when she learned that as many as 2.5 billion people don’t have access to a toilet. The system features a waste collection unit (that can go above or below ground), which separates the waste into liquids and solids. There’s also a manually-operated bidet that can be attached. The SafiChoo toilet costs about $50. “That’s the highest price point we want it to be,” she said. In 2014, Burton and her team won first place and $25,000 at the Georgia Tech InVention competition, the nation’s largest undergraduate invention competition. John Zegers, director at Georgia Center of Innovation for Manufacturing, contacted Burton after her InVention competition win. “We thought it was a great product that needed a little bit more development,” he said. The Center gave a grant to Georgia Tech to develop a SafiChoo prototype and helped Burton’s team find an Atlanta-based manufacturer. “It’s amazing when you see how many people have never used a toilet before and what [the SafiChoo Toilet] could mean for them,” she said. May 16, 2016. Tags: Clean water, Education, Engineering, Environmentalism, Health care, Jasmine Burton, Math, Sanitation, Science, STEM, Technology, Toilets. Education, Environmentalism, Health care, Science, Technology. 2 comments. May 16, 2016. Tags: Communism, Health care, Socialism, Venezuela. 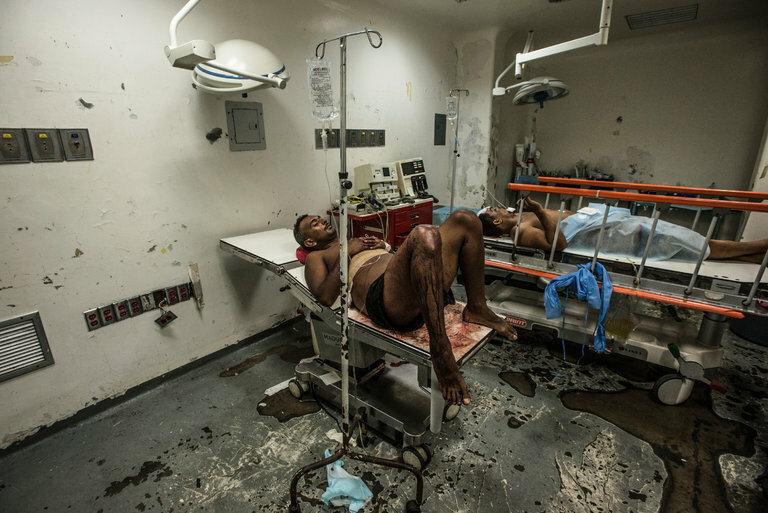 Communism, Health care, Venezuela. 6 comments.